I think its great that a President can have humor after all the problems in the world he has to deal with. From time to time, we give celebrities a chance to read some of the mean things people tweet about them. We extended that same offer to our Commander in Chief, who happily agreed. 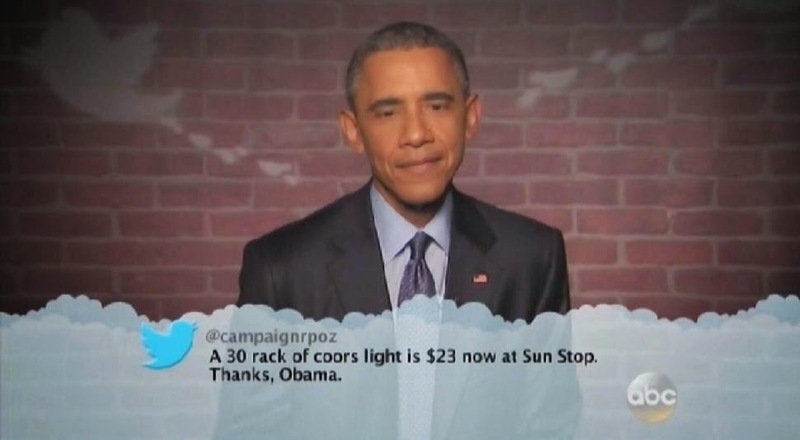 This is an all President Obama edition of #MeanTweets.